learn discounted cash flow yourself. how companies evaulate themselves and their worth. dignifieddevil.wordpress.com, originally uploaded by aljones15. 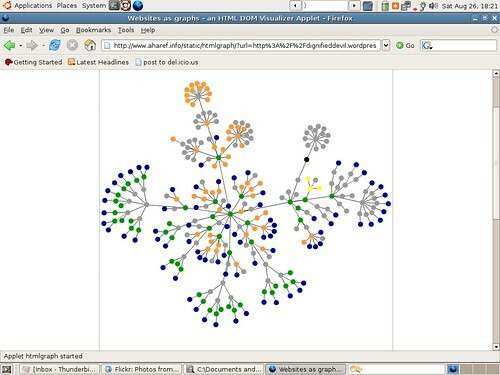 This is this blog as a graph or maybe a small world network who knows. it’s a shame it doesn’t tell you what sites the dots represent.